The Sathorn Unique is a 50 stories abandoned skyscraper. Its construction stopped in the 1997 because of the asiatic financial crisys and it became the highest abandoned building in the world. 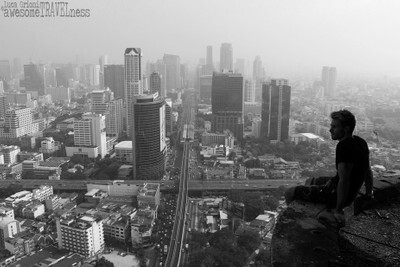 It stands over Bangkok with it's haunted figure and the thais call it the GHOST TOWER. I managed to sneak in and climb to the top.Unique experience.